It’s pretty obvious, if you spend any length of time around me in person or virtually, that I’m a Mom. Kids are important to me – my kids, the welfare of my friends’ children, the welfare of kids I don’t know. I feel like my community of moms has been one of the best supports I’ve ever had. We have wisdom, tears, laughter, shared frustration … everything you need to make it through the job and joy of shepherding the little creatures we love. I feel the same about the running community. Just like with moms around the world, people can get all judgey about “not doing it right” (whatever), but for the most part runners look after each other. They mentor, they laugh, they train, they sweat, they go through hardship for each other and urge each other on to WIN — whatever WINNING means for that particular runner. Gray is not my son. His mom Courtney is a family friend, but we’ve never met in person. She’s a runner, and Gray is a fighter. 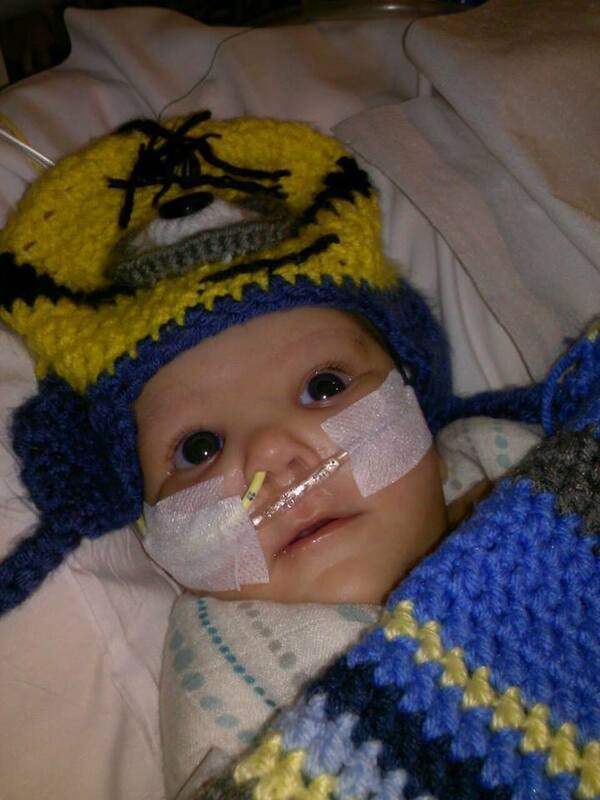 In December, when Gray was three months old, he was diagnosed with Congenital Nephrotic Syndrome. You can read more about Gray’s story here, but I’ll sum up by saying that this is a life-threatening condition that won’t go away. The treatment for Gray is removal of the malfunctioning kidneys and eventual kidney transplant. This tiny boy had both kidneys removed in January, and is now growing stronger so he can have a kidney transplant when he’s around 22 pounds (probably when he’s 2). His mom is a fighter too, and she’s a runner. She’s a mom of three boys, and she’s dedicated to keeping all of her family in a good, healthy place as they go on this journey together. And as I mentioned, moms and runners know how to support each other in the face of challenges, right? So here’s what we’re doing: I’m organizing a virtual race weekend for Gray called Have a Gray Run. The weekend of May 16 – 18, we’re going to run, walk, bike, stroll, elliptical 5Ks and 10Ks across the world to show support for Gray. There will be prizes, there are t-shirts you can order, and there will be (I hope) a flood of pictures and Facebook posts to show Gray and his mom (and his whole family!) how much love and support they have. Join us! Read about registration here, or let me know if you have a question!